First Insight’s recent survey revealed more Millennials (71%) are searching in-store for deals than Baby Boomers (57%). And, a growing majority of Baby Boomers (65%) are searching online for the best price rather than in-store. These findings overturn an outdated assumption that digitally-native Millennials prefer searching online for deals while old-fashioned Boomers still prefer to go in-store. So what does this mean for retail categories like grocery where digital shopping hasn’t yet fully become mainstream? While the assumption may be that higher-priced groceries would be less popular with retiring Boomers, only eight percent of Boomer respondents actually buy the lowest priced grocery products. Additionally, just 30 percent routinely purchase the lowest priced grocery products from a limited set of acceptable brands they trust. Conversely, 53 percent of Boomers occasionally or routinely pay a little extra for grocery products they like or think are better. Millennials are almost as likely to pay a little extra for grocery products (54%) as they are to buy the lowest priced (51%). However, Generation Xers are the thriftiest of all when grocery shopping, with only 39 percent occasionally or routinely paying a little extra for grocery products they like or think are better. Millennials and Boomers are equally inclined to use coupons during their grocery trips, with roughly 80 percent of both groups responding that they somewhat, frequently or always use coupons -- likely to offset the more expensive items in their shopping carts. Generation Xers also showed an interest in couponing at 76 percent, but were less inclined to “always” use them (16%) than their Boomer (26%) and Millennial (25%) counterparts. Amazon’s Pricing Disconnect: As Millennials and Boomers seem willing to spend more money for the grocery brands they love, Amazon’s act of immediately lowering prices at Whole Foods seems ill advised. Grocery chains should make sure they are offering the products that meet the needs of their audiences and match them with the price point they’re willing to spend to ensure they’re not leaving money on the table. Couponing Should Be Modern: Coupons are clearly a large part of purchase decision-making at grocery chains. As digital couponing becomes easy and redeemable on mobile devices, grocery stores able to digitize coupons and market offers in a targeted, personalized way similar to other retail sectors will likely build greater loyalty with their customers over the long-term. Online Versus In-store: It’s likely Millennials will continue to go in-store to look for grocery deals and Boomers will continue to move online, as we’ve historically seen in other retail sectors. As such, grocery chains should be ready and equipped to meet their audiences where they shop. 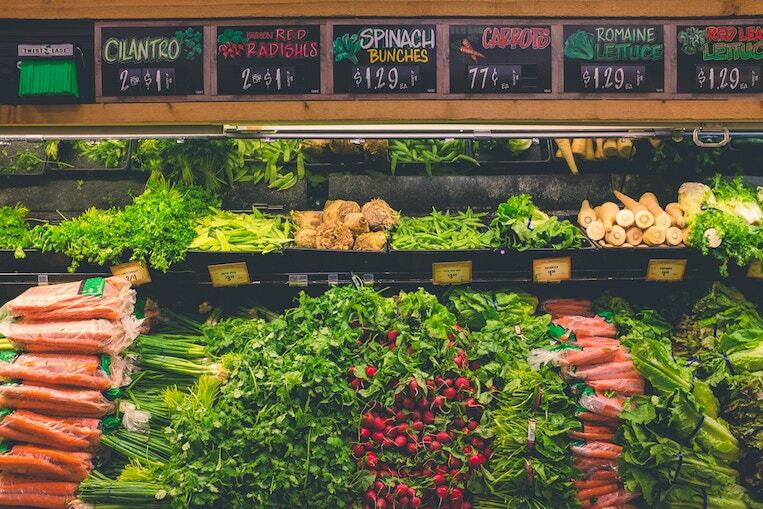 Savvy grocers will start to modernize the in-store experience to attract Millennials (think Whole Foods), and be ready for Baby Boomers searching online for deals. If you’ve ever shopped at Whole Foods you would suspect that Amazon’s purchase of it would have brought the company a plethora of shoppers willing to buy high-priced grocery items. However, its immediate move to reduce prices shows a disconnect with the customer’s expectations and what compels them to buy. Grocers looking to compete need to understand the relationship between those willing to spend on high-priced items and their expectations for coupons to profit most, and compete in the coming era of modern grocery retail.